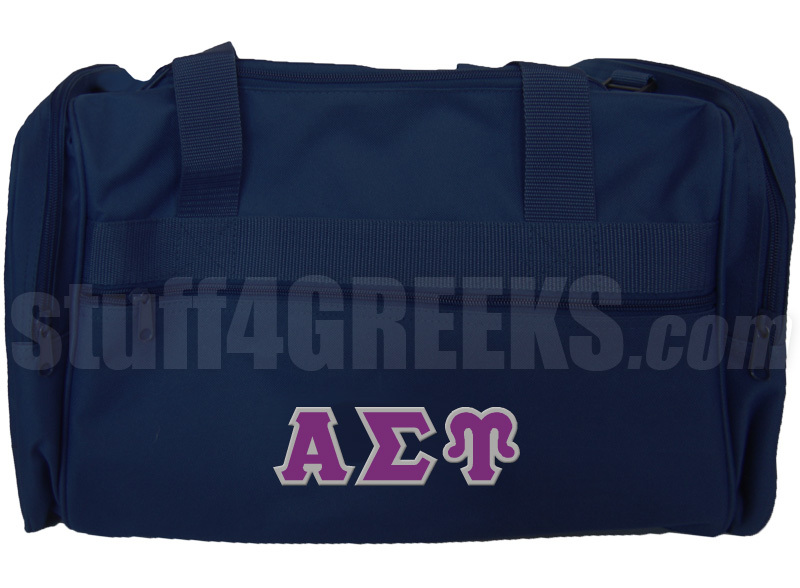 Navy blue Alpha Sigma Upsilon duffel bag with Greek letters across the front. It has enough room for a day at the gym or an overnight adventure. Shop by Organization > Alpha Sigma Upsilon Fraternity and Sorority, Inc.